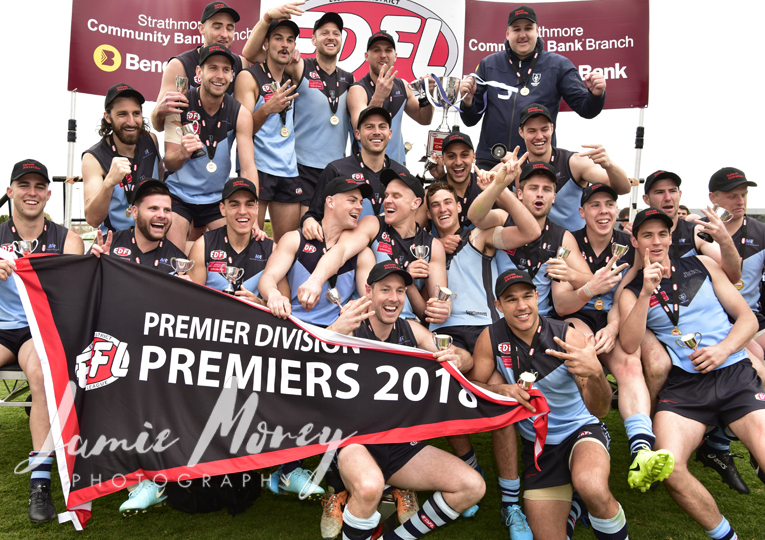 ABERFELDIE won its third premiership in four years in emphatic style. 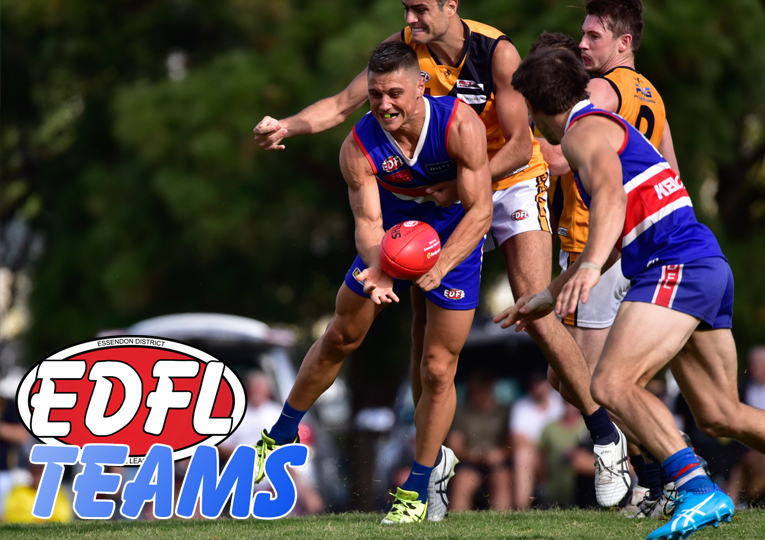 With eight consecutive goals through the second and third quarters, Abers got on a roll and never looked back, winning by 61 points. It was Aberfeldie’s first ever back-to-back premiership win. Dominating in the clearances all day and showing real poise, Luke Blackwell claimed his second Reg Rose Medal in impressive fashion. Keilor’s Damien Cavka started off brilliantly with a goal in the first 70 seconds and the Blues seemed to have control of both ends of the ground early, with Brad Xavier providing some big intercept marks. 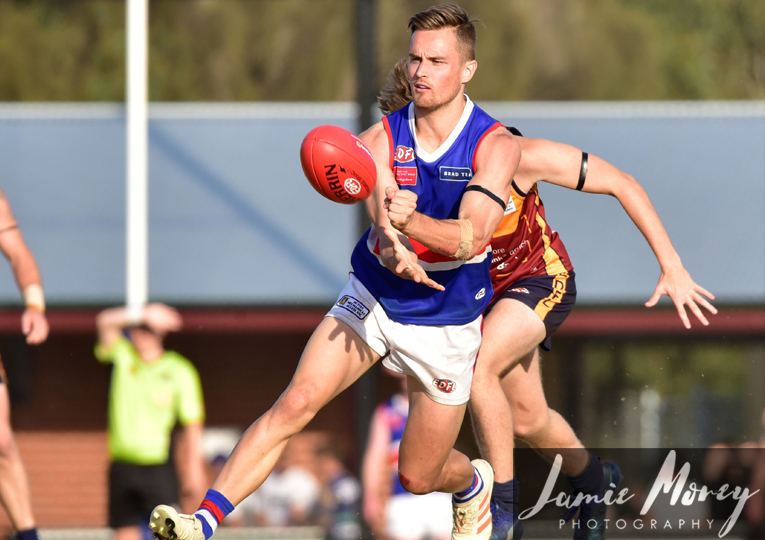 After a relatively even first quarter and with Keilor kicking the first two goals of the second, it seemed they were starting to take control. Aberfeldie, though, seemed to flick a switch, and with the use of leg speed and its ability to win one-on-one contests, its second and third quarters set up its historic win. 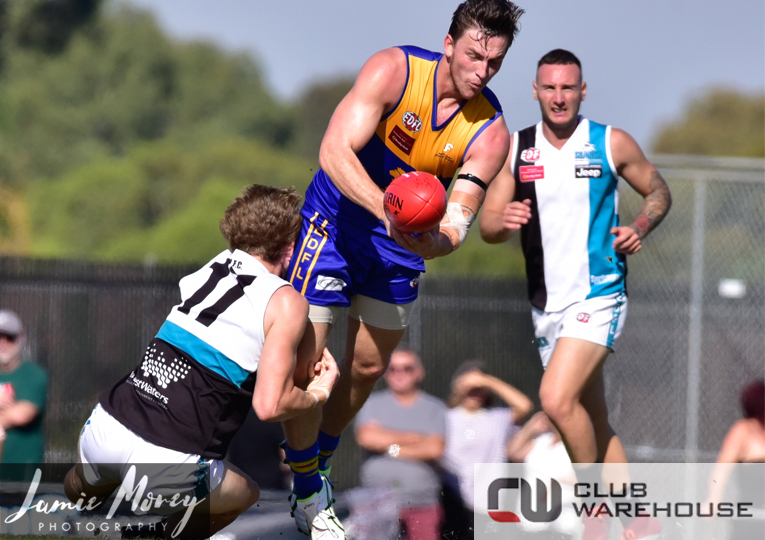 In this period, Blackwell stepped up and showed why he is one of the EDFL's great players, bursting out of clearances time and time again. His high disposal efficiency was exciting to watch. Jean-Luc Velissaris seemed to be a part of many of Aberfeldie’s scoring chains and finished with three goals for the day. Blues skipper Kane Barbuto stepped up at times in midfield with some dashing runs along the wing, but he didn't have enough help around him. Keilor's poor forward entries combined with Aberfeldie's immense tackling pressure didn't allow the Blues to get a flow up forward. James Peters was a beneficiary of Aberfeldie's dominance, as he was able to lay some big chase-down tackles and snag a goal from the boundary line, sending 'The Hill' into a frenzy. By half time Aberfeldie had established a handy 41-point lead. It didn't take long for the reigning premier to extend that lead in the third, with Josh Cubillo and Zach Hislop hitting the scoreboard. Andrew Browne got one back, however, the Blues wasted several other chances and couldn’t get back into the game in the third quarter. Aberfeldie’s back six held down some of the best forwards of the division, and play-maker Jacob Craven was the catalyst. Craven seemed to be everywhere inside defensive 50 with intercept marks and quick hands out of danger. He set the tone for his side. Through his side's ability to generate forward pressure acts, pace out of midfield and perfect structure, Aberfeldie coach Adam Potter couldn’t have asked for much more from his men. Potter is now a three-time premiership coach with Aberfeldie since joining the club in 2015, surpassing fellow modern EDFL coaching greats, Brodie Holland, Anthony Rock and Mick McGuane.